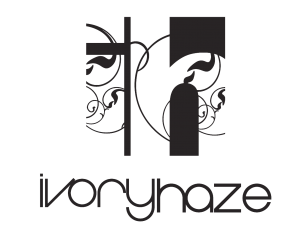 Ivory Haze really helped me get my brand launched and off the ground. The turn around time was impeccable and the quality wasn’t sacrificed. They understood my vision and didn’t quit until I was 100% satisfied. They will be first in line the next time I need something done for Moov! Ivory Haze were extremely quick to give me a quote and ideas for the shoot. The shoot in the end (which happened the next day!) was professional, the approach fresh and dynamic and the end product more than I could have hoped for. Ivory Haze were a pleasure to work with, professional yet fun even during the cold weather and long hours. I would recommend to anyone. Ivory Haze have been working on several projects for Sourcing OK and have always delivered a great service, on time every time. We have put their creativity at test on many occasions and have always been impressed with the results. Their initial project was the creation of a logo for our newly formed company, Sourcing OK Ltd. We were so happy with their level of service and creativity that we have soon commissioned a new logo for a second website: www.lanyardpeople.co.uk, with the additional request for professional photo shoots on the products to be showcased. Ivory Haze have been a valuable asset to our company and we will certainly work with them again in the future for any of our creative requirements. We first began working with Ivory Haze in June 2010 and haven’t looked back since. We manage a group of acts who are very particular about their video and photographic content and finding a good creatively minded company that could fulfil those needs consistently and cost effectively was always problematic. They have already completed many projects for us over the last 12 months and we are now busy planning content with them for the next 12. Not only have they always shown extremely high levels of creative flair and consistency, they have also shown a unique ability to tap into the highly individualised needs of our varied client base, something which we always had problems with in the past. I would not hesitate in recommending Ivory Haze to anyone who is looking for extremely slick film or photographic content.